Is anyone else loving this sporty trend purely for the level of comfort provided? I am. Traipsing around in newly-stylish (again) Stan Smiths is far superior to painfully high heels in my opinion. Also nice to have a sporty watch to match. This white and gold pretty came from Vierra Watches, which produces clean and durable pieces – perfect for a klutzy person like me! watch c/o Vierra – use promo code “SoChic10” for 10% off! Absolutely the best benefit to the sporty trend being a thing now. Love these tennies! If anyone can rock the sporty trend, it's you and your long, lean legs. Love those fun sunglasses too! 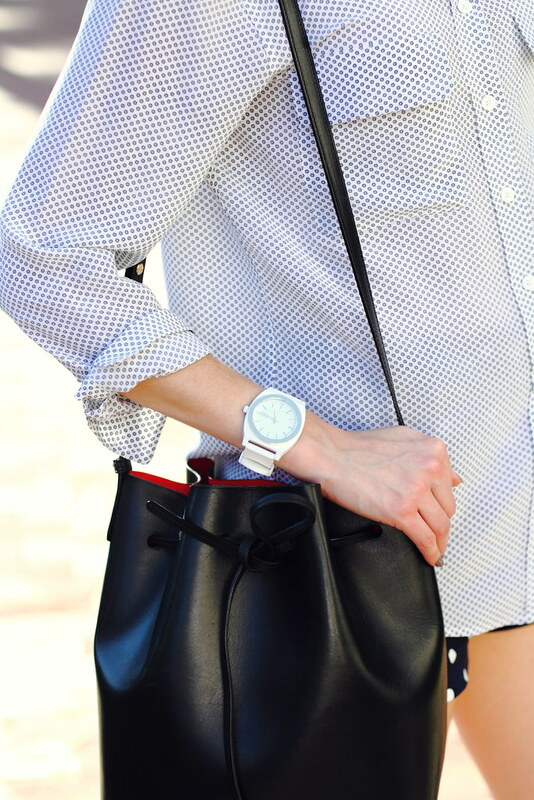 Perfect casual look…loving the subtle print mix. And you can't beat a comfy pair of cool sneaks.